When DSK Benelli unveiled the TRK 502 in 2016 IBW, it led to a lot of speculation regarding the genesis of its styling. Since the 1980s, Benelli has come out with some really interesting motorcycles in the European and American markets; most notably the Sei 750 inline 6. 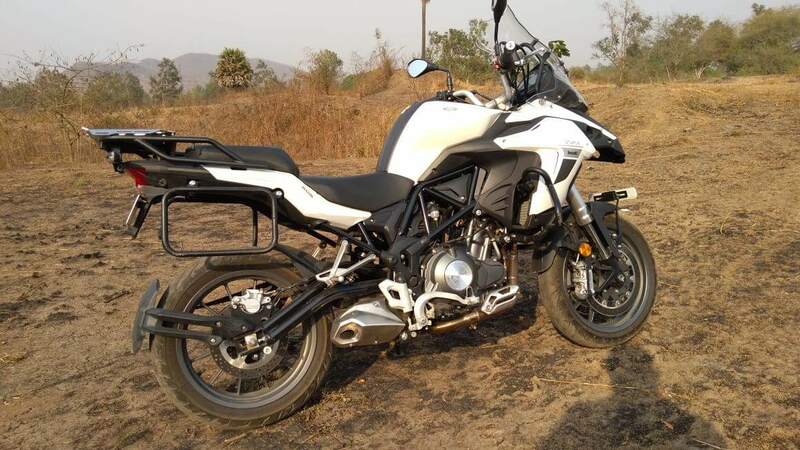 The Indian market witnessed the entry of the originally Italian bike maker as a JV with DSK motors in 2014, who was replaced by the Mahavir Group earlier this year. The TRK 502 / X, which was proposed to be a September 2016 launch, finally hit the Indian roads 2 months back. 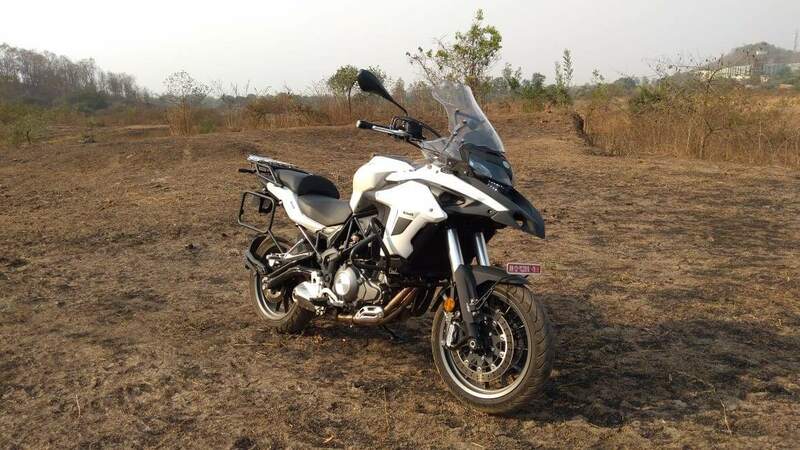 Calling itself an adventure tourer, the motorcycle comes in 2 variants, the 502 and 502x, the latter being the more off-road oriented, rugged version of the two. These twins are the newest entrants in the 500cc category for Benelli. The two motorcycles draw a combination of elements from its bigger rivals such as the Triumph Tiger, Ducati Multistrada and the BMW R1200. We rode the two motorcycles to figure if the sheer size and visual appeal also translate into dependable performance on and off the road. Here’s what we observed. With its sheer size and daunting road presence, the 502 is an intimidating motorcycle at first glance. Both the motorcycles own a similar, domineering looking front with a high planted visor, followed by a fibre beak. This houses the sleek looking DRLs and the halogen lamps, which are accompanied by a strip of LED lights. While the telescopic fork of the 502 is a matte silver finished inverted 50mm Marzocchi unit, the 502x has its sliders in black colour. Both these motorcycles come in different colour schemes with finesse in the quality of the paintjob. While the 502 comes in three different shades, the 502x comes with an added amount of graphics on either side of the fairing. The 502x comes with a provision for carriers and panniers which are available as aftermarkets from Benelli. 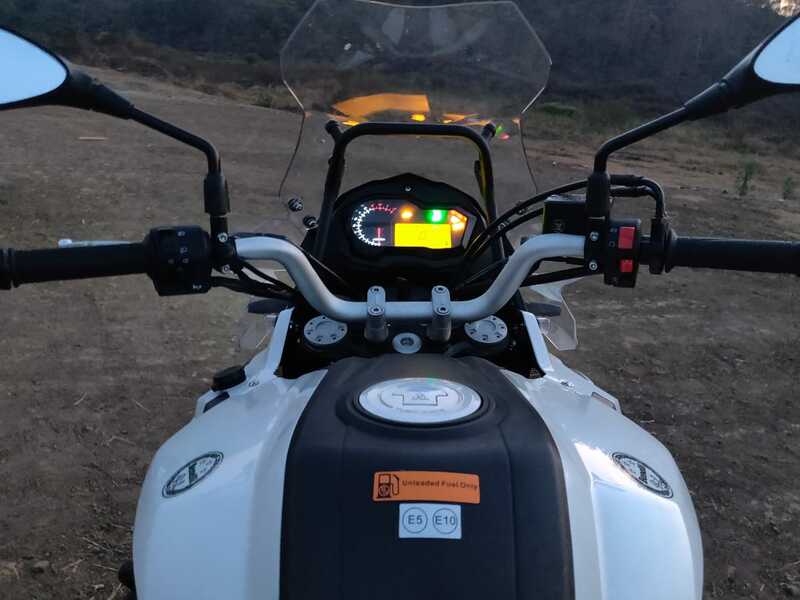 The instrument cluster is the same on both the motorcycles with a very basic yet attractive looking setup. This includes a large sized analog rev counter followed by a small screen indicator for the speed, fuel and trip meters. There is an option to switch the readings from KMPH to MPH but we don’t really see the point for that here. Instead, a more beneficial add-on would have been an average speed/fuel consumption readout. In terms of ergonomics, both these motorcycles stand tall with the 502 at 800mm and the 502x at a whopping 840mm. The ground clearance on the 502 is 190mm while the X towers above it at an exceptional 220mm. Needless to say, if your height is anything lower than 5’3” for the 502 and anything less than 5’6” for the 502X, you’ll find it very difficult to ride them. And then there’s the kerb weight owing to the endless number of metal components. At 235 kg of weight, it is staggeringly high compared to the Kawasaki Versys and the Suzuki V-storm. They are lighter by more than 20kgs! A 20 litre fuel tank rounds off the really top heavy motorcycle. What this essentially means is that the bullish nature of the bike demands a lot of effort when tackled off the road. Both these motorcycles get crash guards which are heavy duty and easily span wider than the handlebars. We think this is an essential feature as these are adventure motorcycles and the probability of them tipping over must be taken into accountability. The rear end gets a trellis frame with a rebound adjustable Sachs monoshock. Where the 502 comes in with an underbelly exhaust, the 502x gets a full swept up exhaust for better water wading capability. Where the 502 gets the Pirelli Angel (17” front and rear) tubeless tires, the 502x comes with Metzeller Tourance tires (front and rear 19” and 17”) respectively. The adventure model gets wire spoke wheels as well. Both the motorcycles come in with 320mm front discs, where the 502X has wave pattern rotors and 260 mm rear disc supported by a dual channel ABS. The rear ABS can be switched off on both bikes using the left switchgear. The adventure model has a petal disc as compared to the regular disc on its sibling. The 502X gets an underbelly engine guard plate to protect the engine from the stuff the front wheels kicks at it. This combination of torque and power affords a smooth ride till about 5500 RPM, until the vibrations set in and keep getting worse as you go up the revs. A sweet spot to cruise on this motorcycle would have been around 120-130 kmph but you do feel some vibes creeping in at those speeds as well. The liquid cooled engine manages to keep the temperature stable at good speeds, but picks up a wee bit of heat in traffic conditions. What really impresses you about the TRK is its ability to stay in the 6th gear at speeds as low as 40 kmph all the way to its top speed of 170 kmph. The 502 x has a slightly lower top speed of 162 kmph owing to the additional larger sprocket on the rear wheel. The clutch was cumbersome in traffic conditions despite being a hydraulic one. Benelli could have opted for slipper clutch here or the least given an adjustable clutch lever. The low end shove and the linear power band on this bike allows for lesser gear shifts while cruising on the highway. What’s really impressive about the two motorcycles are their distinctive, but sonorous exhaust notes. 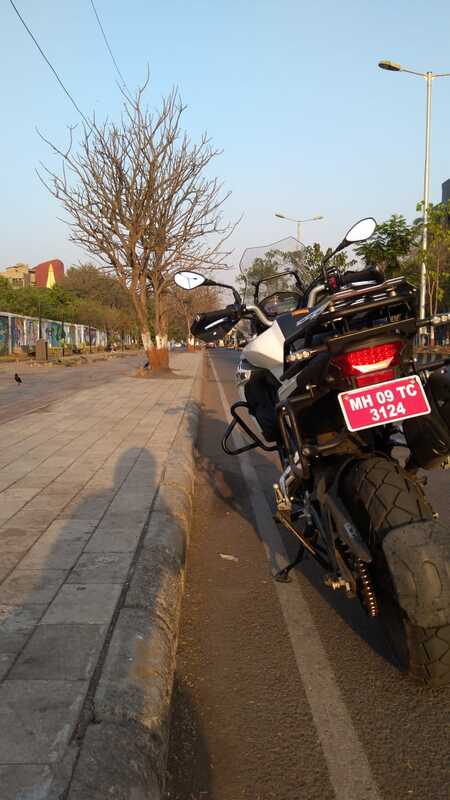 While the underbelly exhaust on the 502 has a that somewhat mimics the roar of an inline 4, the 502x gets a better sound with the highly mount exhaust accompanied which sounds bassier and a fair amount of ear pleasing back firing each time you go off the throttle. Coming to the whole point of this motorcycle, the ride off the road had a rather mixed feedback to it. The TRK 502 could be approached by middling riders for an entry into adventure touring, due to its long visor and seating posture. The ride is generally comfortable and you could take this bike through the corners at ease. With the trustworthy Pirelli tires and the moderately soft suspension setup, this one handles straight roads very well, and does a fair job around bends as well, as long as you don’t make the bike too top heavy by brimming it up with fuel. It’s not a very sharp tool, but has a sense of solidity about it. Braking is adequate and so is its composure in a variety of situations you might find yourself in while being on the road. The 502x has a softer suspension setup and responds well to any kind of terrain. The Metzeller Tourance tires on this bike are oriented more towards the trails but fare reasonably well on the road as well. 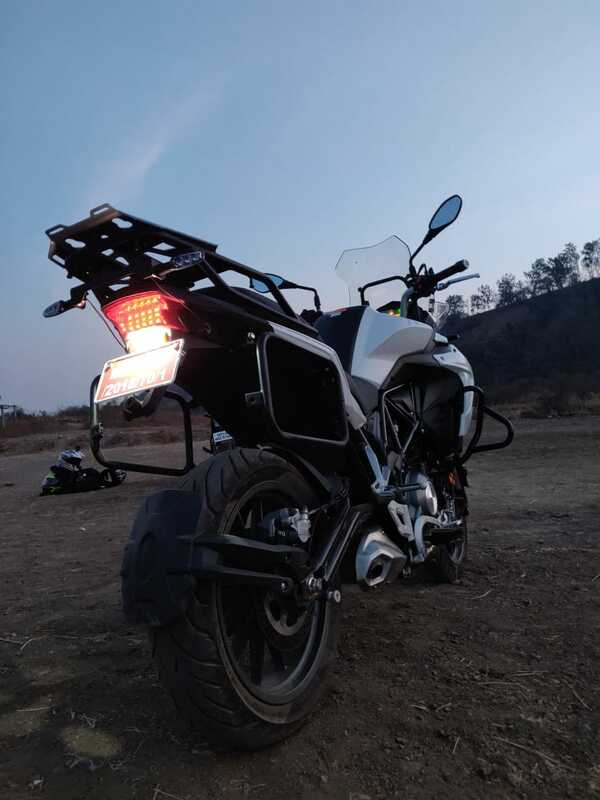 Bad roads could be approached with ease while standing on the foot pegs, although the front heavy setup and the overall heaviness of the bike doesn’t make it feel at home while tackling tough terrain. The foot pegs have teeth as well and come with removable rubber mounts which further increases your grip and confidence while maneuvering through such choppy roads . The massive 20 litre fuel tank takes the centre of gravity too high, which is a bit of an issue both on and off the road. The sheer weight of the motorcycle wouldn’t really make it a friendly one for a beginner rider.. While the hardware on the 502X in particular makes it very sturdy, but the sheer weight and height of it is enough to intimidate a rider, unless he’s very seasoned or extremely well built. 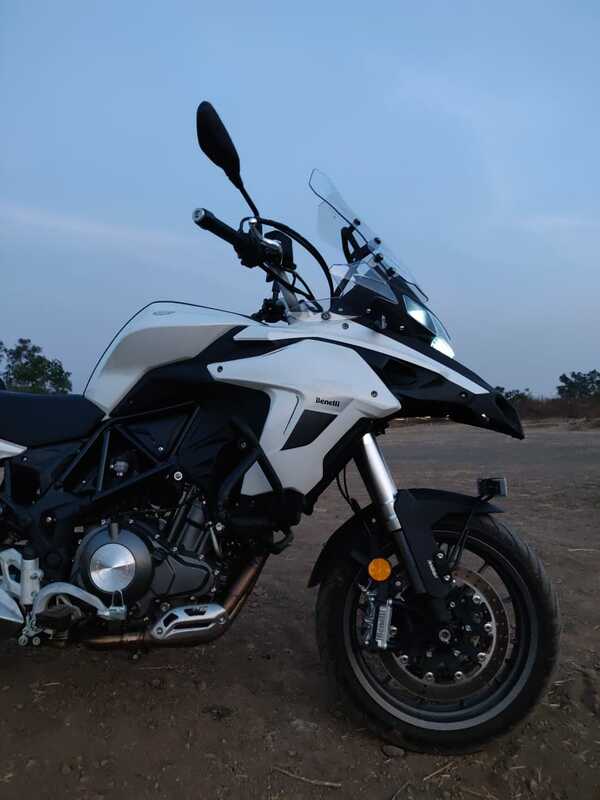 The Benelli despite having an ample amount of low end torque loses out owing to its weight. That doesn’t really do much to inspire confidence to push this bike too hard. The front brakes are adjustable but those large size radial discs don’t really give you that instant feedback as you would expect. There were a couple of instances when we went really hard on the brakes and had to put a considerable amount of pressure on the levers. The rear brakes have a lot of travel which translates to a spongy and weak brake response. Although they suffice the purpose here, there is a serious room for improvement in the braking for both these motorcycles. Benelli has entered the ADV segment with a motorcycle that seems to offer a lot for the money, at least visually, and on paper. At Rs 5.40 lakh (ex-showroom India), the TRK 502x is the pricier one of the two, with the TRK 502 retailing at 5 lakh. With its additional hardware, this is a small price to pay for a bike, which could easily stand among its rivals visually. We were complimented by plenty of turned heads, while we took this beast around the city. If you’re looking for more serious performance though, the Versys and V-Strom 650s are better options, they cost a lot more, though. 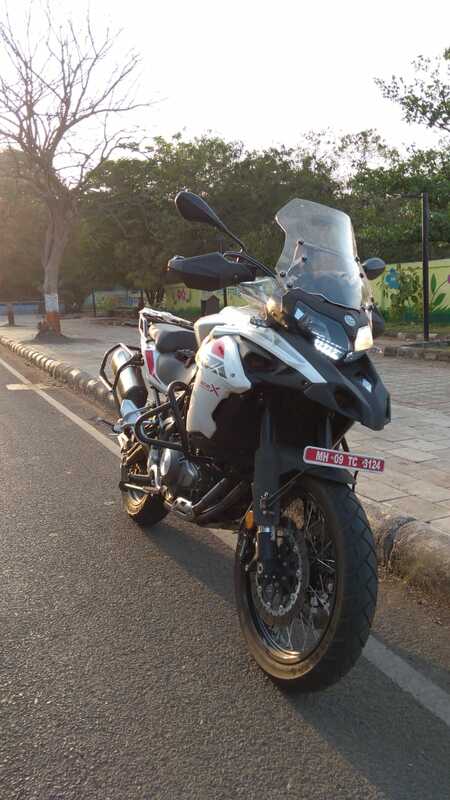 However, if cruising on the highway is your thing, with a pillion and a decent amount of luggage, The TRK 502 is what you should be looking for as the perfect entry level motorcycle into ADV’s. Price at Rs 5 lakh (ex-showroom India) this would be more righteously put into the sports tourer category. The ride is sportier and the seat height is manageable in the city, as well. Its nearest rivals are priced at a couple of lakhs higher and this surely puts it at a lot of potential to appeal to a larger number of people. To ensure complete peace of mind for the buyers, Benelli is also offering a 5 year unlimited kilometre warranty for the two bikes. It’s pretty simple, if you wish to look good on a motorcycle which looks big and premium, without having to break the bank, the 502 duo is for you. Just make sure that you’re heftily built though.